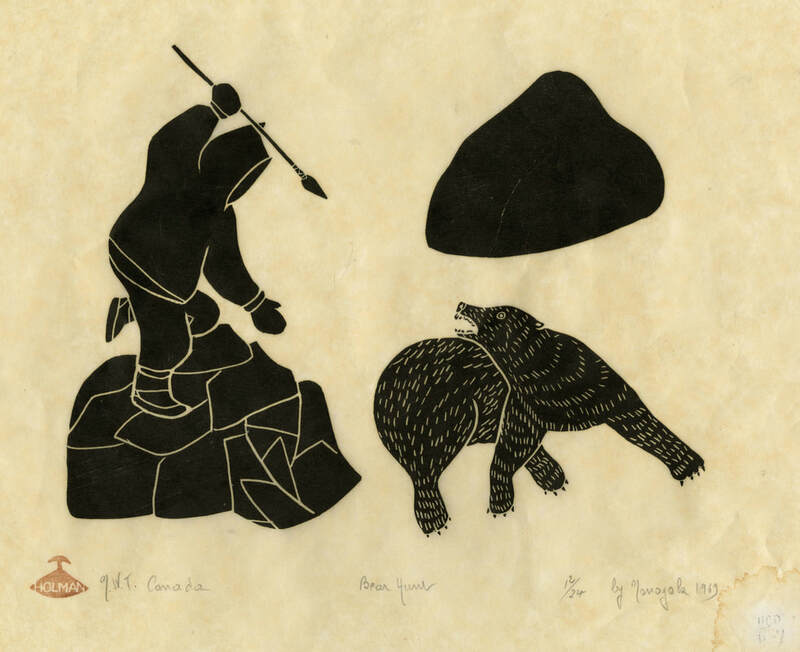 The Canadian Inuit Art Collection at the UC Davis Department of Anthropology Museum features prints, carvings, and leatherwork collected and donated to the Museum in 1969 by Mr. and Mrs. John Ezra Baker after a trip to the Canadian arctic. 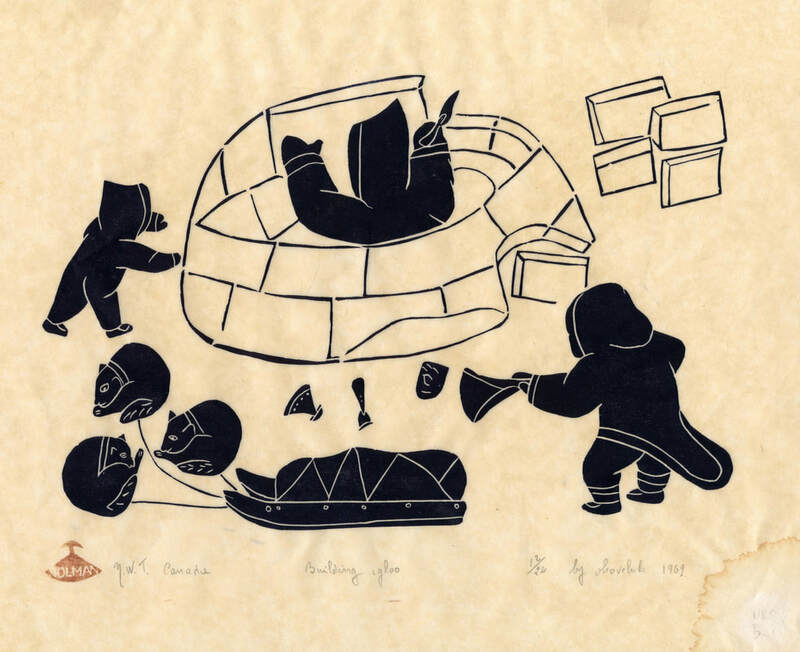 The stone block prints from Ulukhaktok (formerly known as Holman Island), a small Inuit community located off the west coast of Victoria Island in Canada's Northwest Territories, represent series of works made just four years after the Holman Eskimo Co-operative released their first set of stone block prints. The four artists represented are each notable for their artistic careers and legacy in the broader continuation of Inuit culture and story. 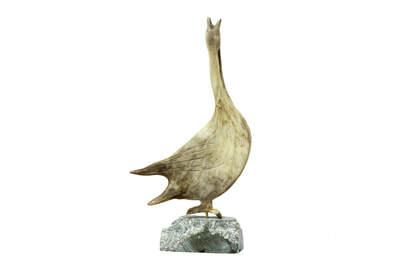 The carvings in the collection consist of two soapstone carvings and a carved caribou antler. The stone carvings originate from Qamani'tuaq (formerly known as Baker Lake) and Kugluktuk (formerly known as Coppermine), in the territory of Nunavut, Canada, two notable centers for historic and contemporary Inuit stone carving. Most of the leatherwork has been lost since originally collected, but one ball stitched together with seal fur still remains. It is currently residing in an anoxic environment for pest management and is not currently on display. 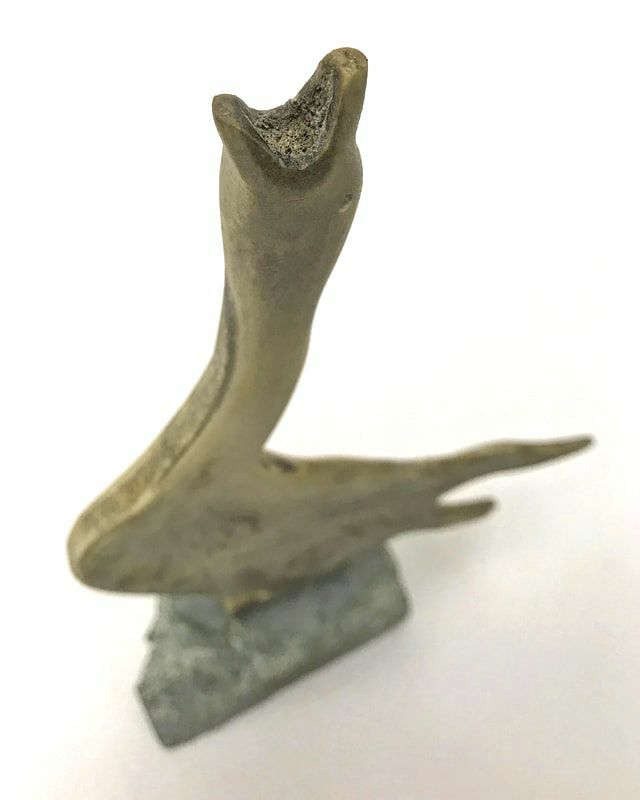 These art pieces are on display this year at the Anthropology Expo at the Consumnes River College (October 27, 2017), the Manetti Shrem Museum Birthday Bash at UC Davis (November 12, 2017), and will be on longer-term exhibit on the third floor of the Department of Anthropology in Young Hall (December 4, 2017 onward). 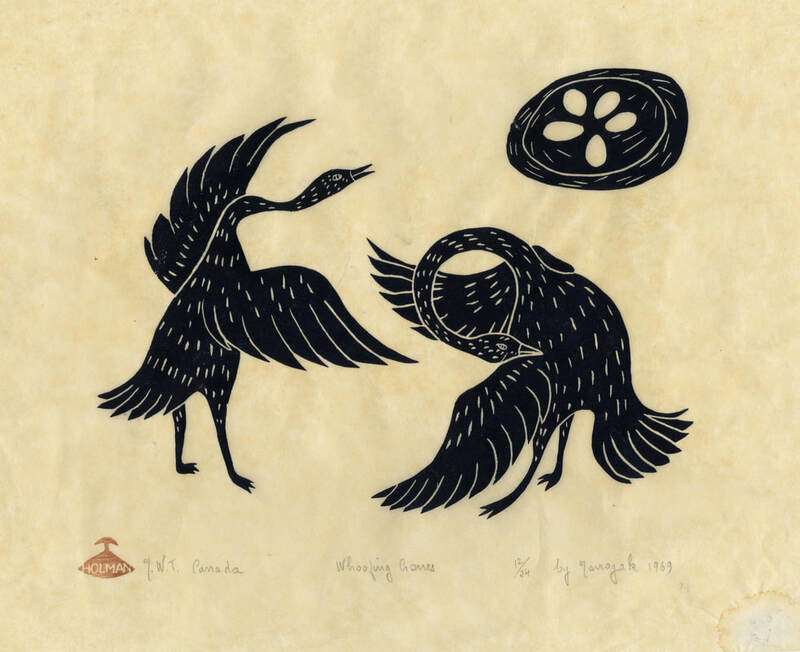 Printmaking involves the transfer of ink from one surface to another, in this case from carved stone blocks onto rice paper. This process allows for multiple prints to be made from a single block. Often, though, only a specified number of prints will be made and the block will never be printed from again, typically broken to ensure this. Such prints are considered a limited edition. 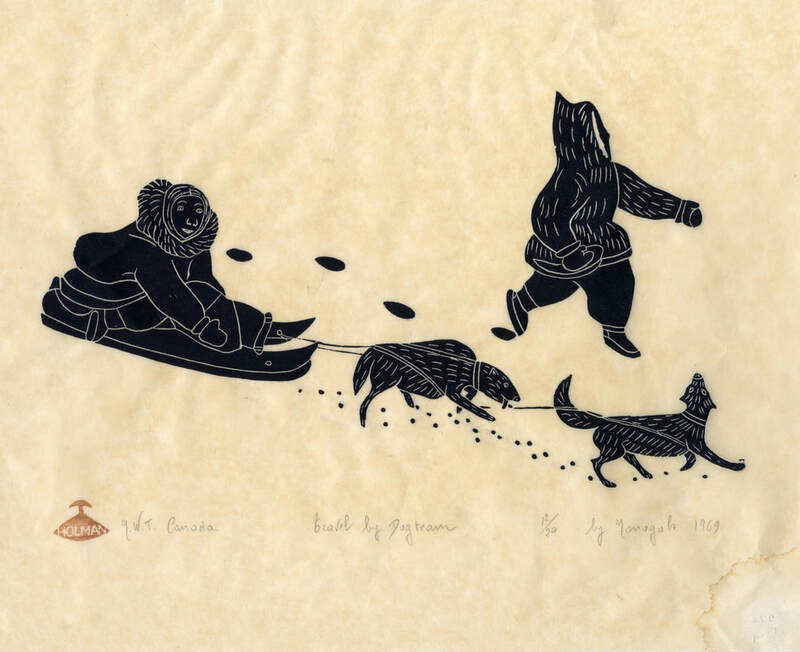 The numbers on the bottom of the print, such as the the 12/24 on Bear Hunt by Agnes Nanogak Goose, specify that this is the twelfth print of only twenty-four made. 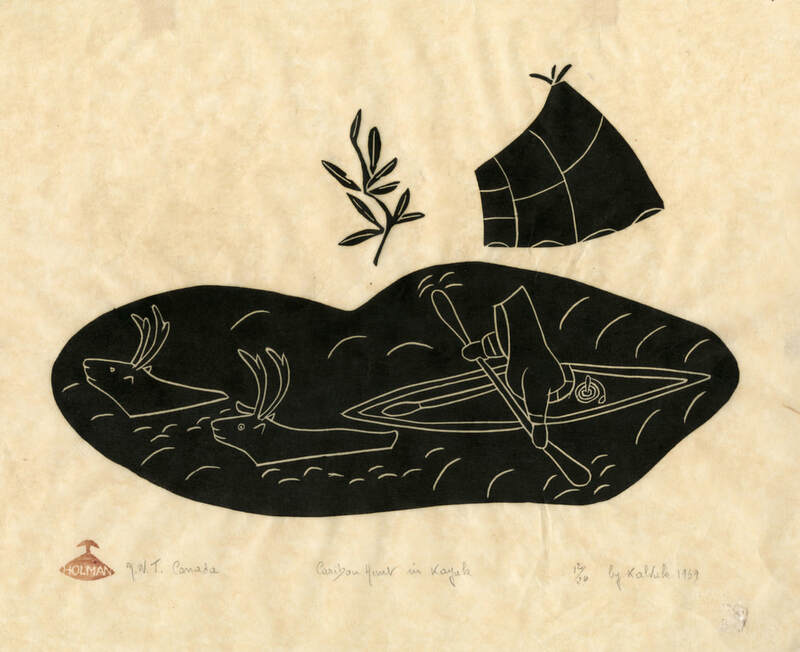 The red image of an ulu, a woman's knife, with the word Holman was primarily used on stonecuts, and signifies that the artist was from the Holman Eskimo Co-operative, founded by a group of artists and Father Henri Tardy, an Oblate missionary, in 1961. They released their first set of prints in 1965. 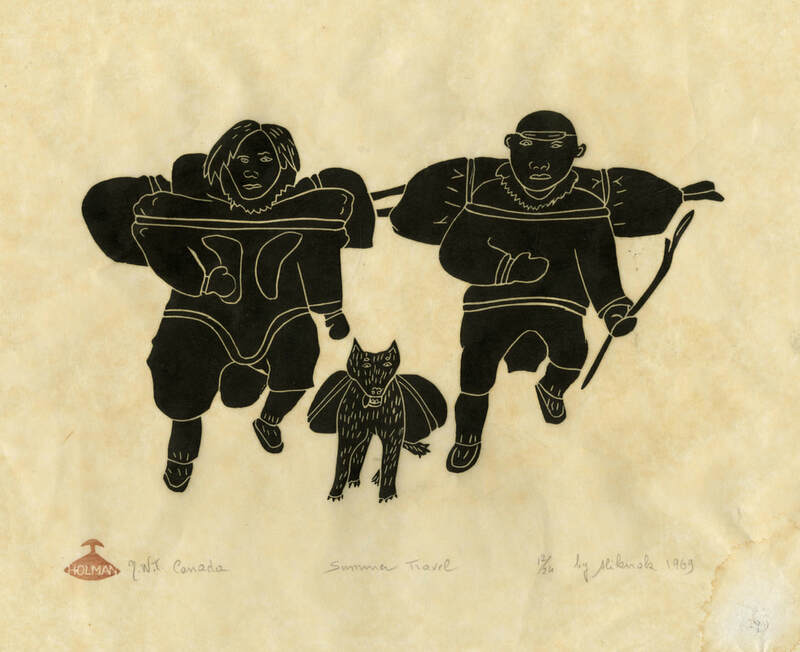 The prints in our collection were collected by John and Dudley Baker, who met with the Co-operative on April 19th, 1969 on an expedition in part to collect examples of material culture from the Canadian arctic for the young Department of Anthropology Museum at the University of California, Davis. The archaeological record of the North American Arctic, which includes Alaska, Canada, and Greenland, has a long tradition of carving, extending back more than 4,000 years. 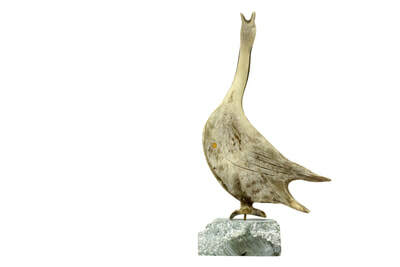 Much of the carving, however, was done in ivory, bone, and wood. Soapstone carving was restricted traditionally to the production of cooking vessels and lamps, but rose to prominence during the historical period as a valuable trade item. 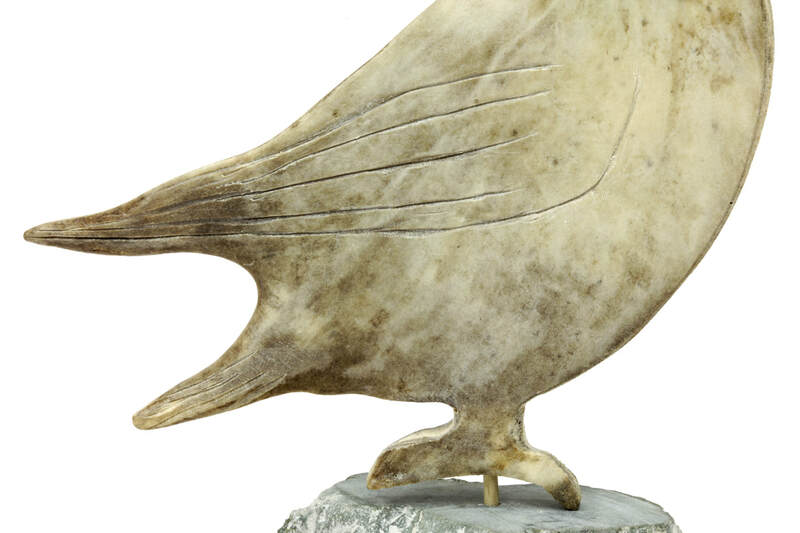 Artists sought to depict native lifeways and traditional stories through their art. Communities such as Qamani'tuaq (formerly Baker Lake) and Kugluktuk (formerly Coppermine), where the two stone carvings in this collection are from, became recognized internationally for the stone carvings they produced, a legacy that carries on today. When donated, the stone carvings in our collection had little information other than their place of origin and general aesthetic interpretations, but after analysis by arctic researchers, both these pieces have had rediscovered meaning. 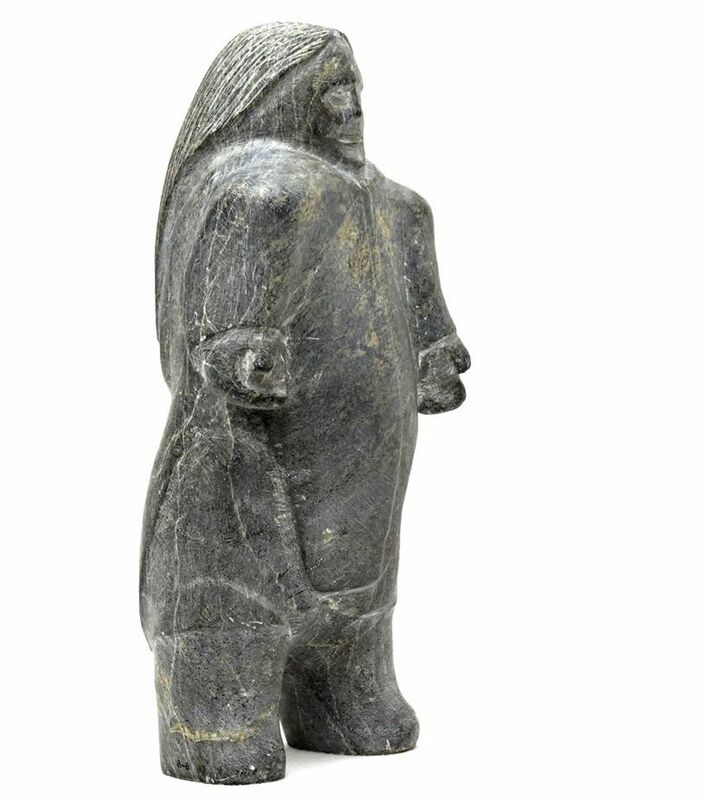 When collected, this stone carving was identified as a "Stone Fisherman," but after examination by Dr. Christyann Darwent and Dr. Genevieve LeMoine (Peary-MacMillan Arctic Museum, Bowdoin College, Maine), they identified the garment depicted as an amautiq, a type of parka worn by Inuit women in the Canadian Arctic (both historically and now). The baby was carried in a pouch known as an amaut found underneath the hood at the back of the coat. 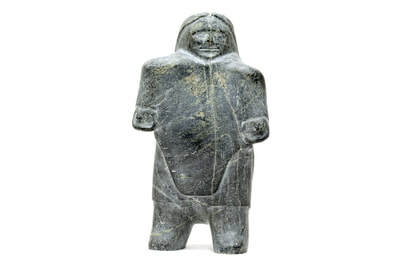 Inuit clothing, made by women, was a cornerstone and crucial technology to survival in the arctic. This base of the statue has a disc number carved into it. Disc numbers, used from 1941-1972, were numeric identifiers used by the Canadian government to identify Inuit people as traditional Inuit names did not have shared family names nor formal, consistent spelling. 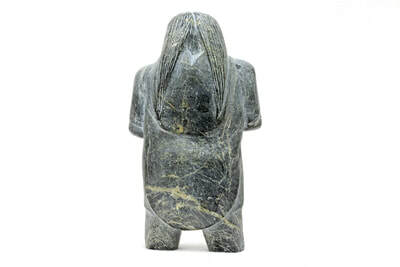 These numbers are often used in identifying Inuit art from the time period. In this case, however, the number is obscured and we have yet to identify the maker. 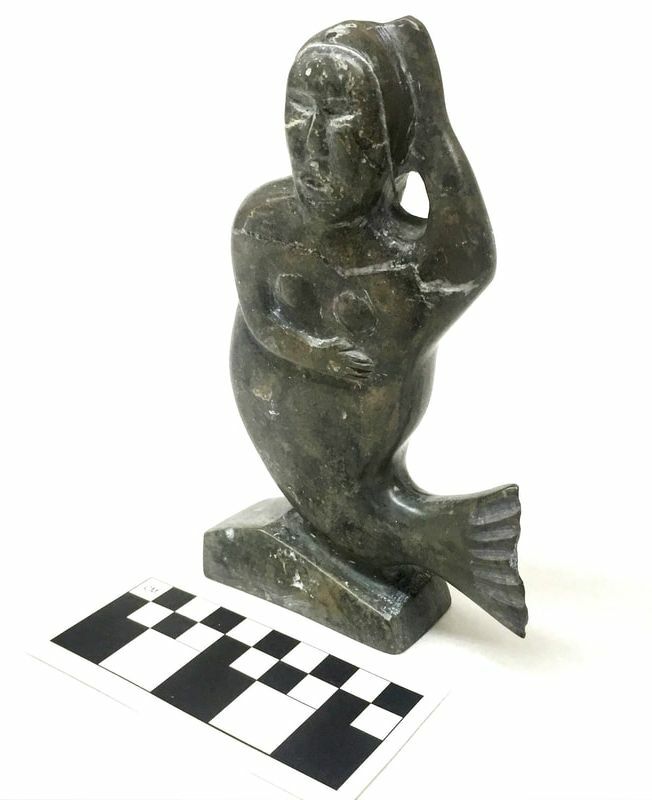 ​The collection records for this stone carving list it as a "stone mermaid," but Dr. Christyann Darwent and Dr. Genevieve LeMoine identified it as a depiction of Sedna. 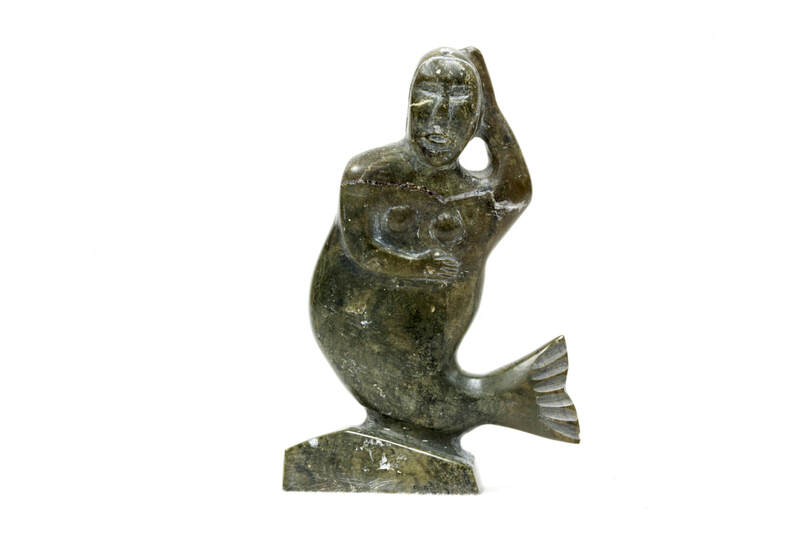 ​Sedna is a figure from Inuit mythology, usually depicted as a vengeful goddess, mother of the sea, and important figure to be placated to provide the bounty of the sea. 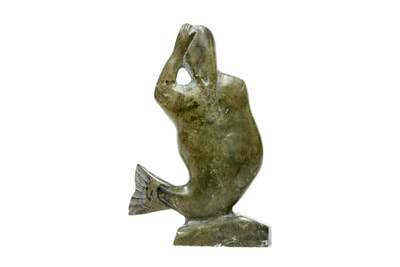 In many versions of the story, she loses her fingers, which become sea mammals. 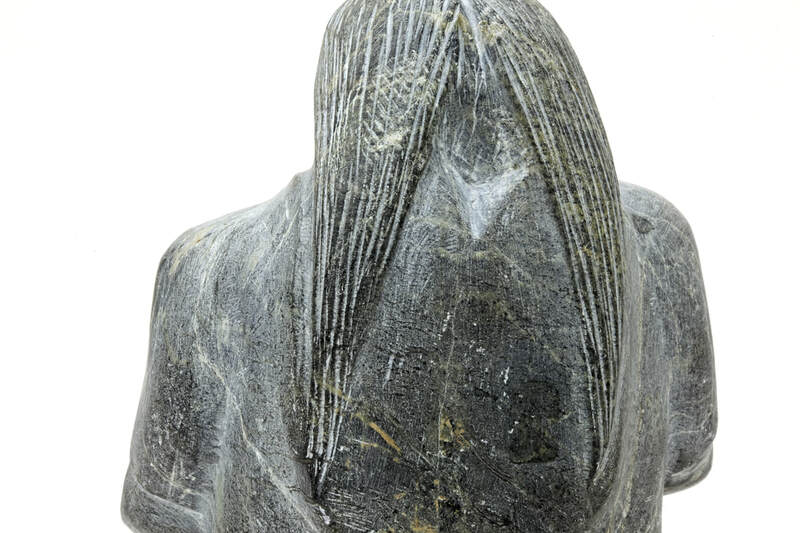 Unable to comb her hair, it becomes matted and tangled, and shaman must placate her temper and the harm it causes hunting by combing her hair. One telling of the myth can be found here. 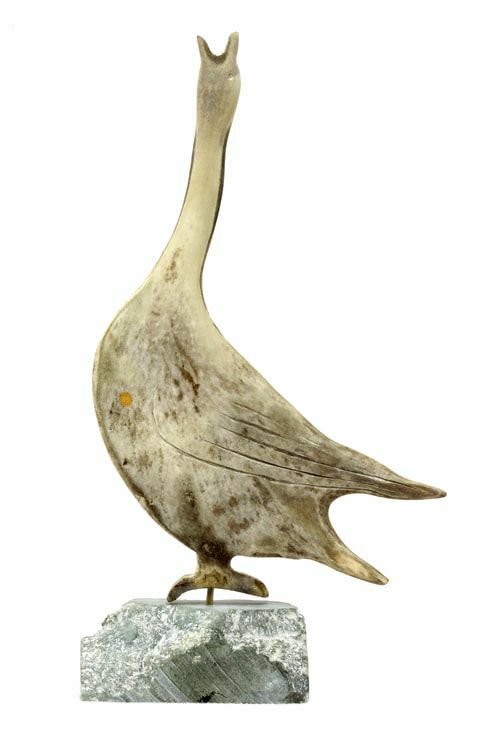 ​From the inscription on the base of the carving, we believe this piece was made by Doris Kunelak Himeak (born 1930), a carver from Kugluktuk. 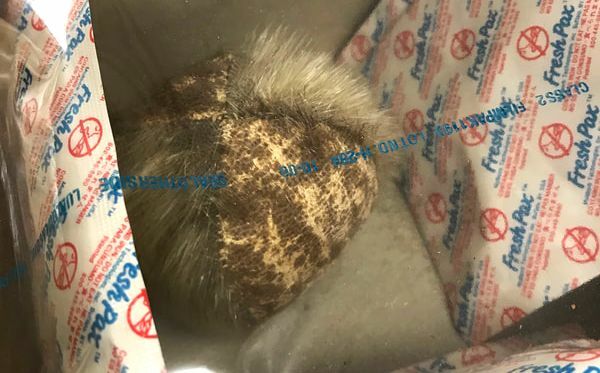 This ball of seal fur is currently in an anoxic environment as part of integrated pest management (IPM) treatment to protect it from insect damage and is not currently on display.